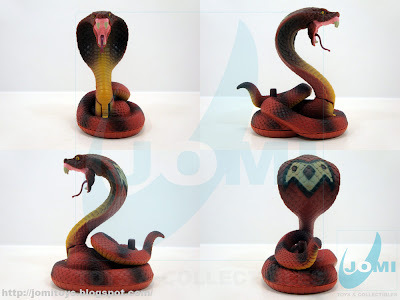 The original Chap Mei Cobra mold. 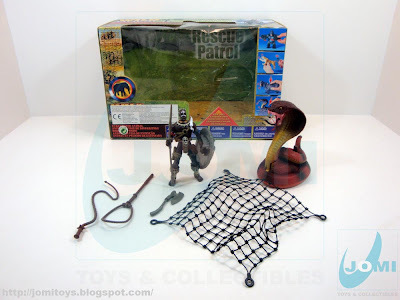 It was later used in a similar basic design to form Orcus´s pet Cobra, included for example with the "Legends Of Knights Chevalier Battle" playset. This hood-snake however has a button. 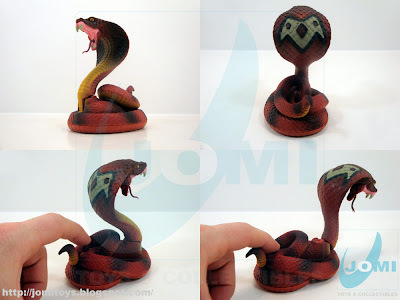 When pressed, the snake performs the bite motion. Figure: "Hunter Zuk". 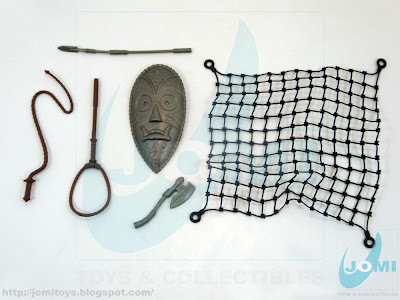 Same mold later used to create "Chief Kahara" included with "Jungle Adventure Treasure Hunt" playset. 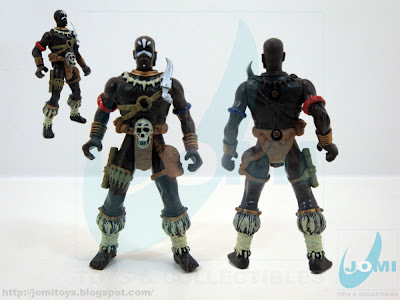 It's a greay sculpted figure, my Black Panther and him are a pair of Wakanda warriors.